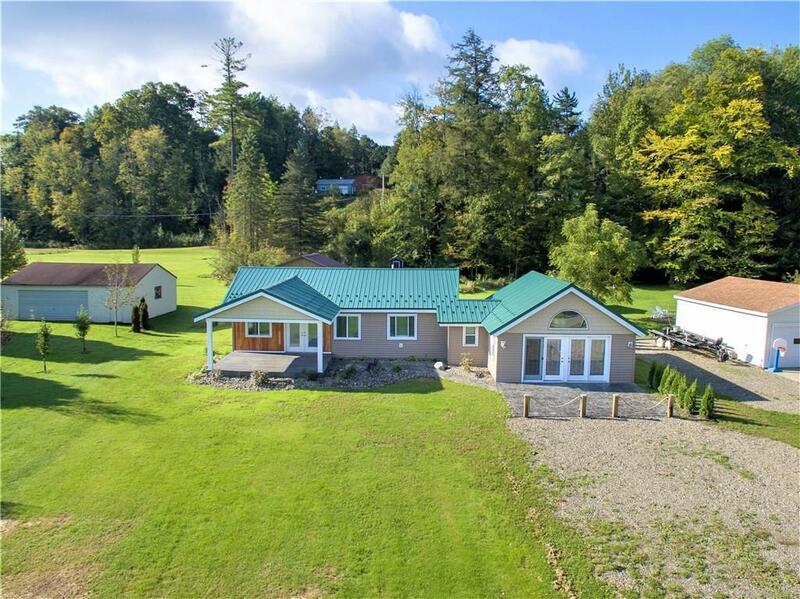 5525 Wells Bay Road, Ashville, NY.| MLS# R1166110 | Chautauqua Lake Real Estate. Specializing Chautauqua Lake helping Buyers and Sellers since 1985. Must See! Completely remodeled(2018) 3 bedrooms, 1.5 ranch home located in the Wells Bay Community. This Chautauqua Lake home with dock rights, features: Spacious & open living room/dining room area with new laminate and tiled floors, modern kitchen will all new stainless steel appliances, cabinets and granite counter tops. Family Room with custom made wet bar, shelving,tile floors & foam insulation in the walls & blown insulation in the ceiling. This home also has all new wiring, plumbing,windows and metal roof. Outside you will enjoy an open porch with vaulted ceilings, stamped patio, professionally landscaped lawn, large yard & 12x20 shed with easy storage access for snowmobiles. Call today for your private showing! Please note that sellers are Licensed NYS Real Estate Sale Person.